Dellinger, M., A. J. West, G. Paris, J. F. Adkins, and A. R. Kampf (2018), The Li composition of marine biogenic carbonates: Patterns and mechanisms, Geochimica et Cosmochimica Acta, in press, doi: 10.1016/j.gca.2018.03.014. Fröb, F., A. Olsen, F. F. Perez, M. I. Garcia Ibáñez, E. Jeansson, A. M. Omar, and S. K. Lauvset (2018), Inorganic carbon and water masses in the Irminger Sea since 1991, Biogeosciences, 15, 51-72, doi: 10.5194/bg-15-51-2018. He, Y., J. Tjiputra, H. R. Langehaug, E. Jeansson, Y. Gao, J. Schwinger, and A. Olsen (2018), A model-based evaluation of the inverse gaussian transit time distribution method for inferring anthropogenic carbon storage in the ocean, Journal of Geophysical Research, doi: 10.1002/2017JC013504. Landschützer, P., N. Gruber, D. C. E. Bakker, I. Stemmler, and, K. D. Six (2018), Strenthening seasonal marine CO2 variations due to increasing atmospheric CO2, Nature Climate Change, 8, 146-150, doi: 10.1038/s41558-017-0057-x. Gray, W. R., S. Weldeab, D. W. Lea, Y. Rosenthal, N. Gruber, B. Donner, and G. Fischer (2018), The effects of temperature, salinity, and the carbonate system on Mg/Ca in Globigerinoides ruber (white): A global sediment trap calibration, Earth and Planetary Science Letters, 482, 607-620, doi: 10.1016/j.epsl.2017.11.026. Köhler, P., J. Hauk, C. Völker, D. A. Wolf-Gladrow, M. Butzin, J. B. Halpern, K. Rice, and R. E. Zeebe (2018), Comment on “Scrutinizing the carbon cycle and CO2 residence time in the atmosphere” by H. Harde, Global and Planetary Change, in press, doi: 10.1016/j.gloplacha.2017.09.015. Matear, R. and A. Lenton (2018), Carbon-climate feedbacks accelerate ocean acidification, Biogeosciences, 15, 1721-1732, doi: 10.5194/bg-15-1721-2018. Oka, E., M. Ishii, T. Nakano, et al. (2018), Fifty years of the 137°E repeat hydrograpic section in the western North Pacific Ocean, Journal of Oceanography, 74, 115-145, doi: 10.1007/s10872-017-0461-x. Panassa, E., J. M. Santana-Casiano, M. González-Dávila, M. Hoppema, S. M. A. C van Heuven, C. Völker, D. Wolf-Gladrow, and J. Hauck (2018), Variability of nutrients and carbon dioxide in the Antarctic intermediate water between 1990 and 2014, Ocean Dynamics, 68, 295-308, doi: 10.1007/s10236-018-1131-2. Perez, F. F., M. Fontela, M. I. Garcia-Ibáñez et al. (2018), Meridional overturning conveys fast ocean acidification to the deep Atlantic Ocan, Nature 554, 515-518, doi: 10.1038/nature25493. Peters, B. D., W. J. Jenkins, J. H. Swift, C. R. German, J . W. Moffet, G. A. Cutter, M. A. Brzezinski, and K. L. Casciotti (2018), Water mass analysis of the 2013 US GEOTRACES eastern Pacific zonal transect (GP16), Marine Chemistry, in press, doi: 10.1016/j.marchem.2017.09.007. Purkey, S.,W. M. Smethie Jr., G. Gebbie, A. L. Gordon, R. E. Sonnerup, M. J. Warner, and J. L. Bullister (2018), A synoptic view of the ventilation and circulation of Antarctic bottom water from chlorofluorocarbons and natural tracers, Annual Review of Marine Sciences, 10, 503-527, doi: 10.1146/annurev-marine-121916-063414. Russel, J. L., I. Kamenkovich, C. Bitz et al. (2018), Metrics for the evaluation of the Southern Ocean in coupled climate models and earth system models, Journal of Geophysical Research, doi :10.1002/2017JC013461. Yasunaka, S., E. Siswanto, A. Olsen, M. Hoppema, E. Watanabe, A. Fransson, M. Chierici, A. Murata, S. K. Lauvset, R. Wanninkhof, T. Takahashi, N. Kosugi, A. M. Omar, S. van Heuven, and J. T. Mathis (2018), Arctic Ocean CO2 uptake: an improved multi-year estimate of the air-sea CO2 flux incorporating chlorophyll-a concentration, Biogeociences, 15, 1643-1661, doi: 10.5194/bg-15-1643-2018. Assis,J., Tyberghein, L., S. Bosch, H. Verbruggen, E. A. Serrão, O. De Clerck, and D. Tittensor (2017), Bio-ORACLE v2.0: Extending marine data layers for bioclimatic modelling, Global Ecology and Biogeography, 27, 277-284, doi: 10.1111/geb.12693. Bushinsky, S. M., A. Gray, K. S. Johnson, and J. L. Sarmiento (2017), Oxygen in the Southern Ocean from Argo floats: Determination of processes driving air-sea fluxes, Journal of Geophysical Research, 122, 8661-8682, doi: 10.1002/2017JC012923. Carter, B. R., R. A. Feely, N. L. Williams, A. G. Dickson, M. B. Fong, and Y. Takeshita (2017), Updated methods for global locally interpolated estimation of alkalinity, pH and nitrate, Limnology and Oceanography Methods, 16, 119-131, doi: 10.1002/lom3.10232. Cavanagh, R. D., E. J. Murphy, T. J. Bracegirdle, J. Turner, C. A. Knowland, S. P. Corney, W. O. Smith, C. M. Waluda, N. M. Johnston, R. G. J. Bellerby, A. J. Constable, D. P. Costa, E. E. Hofmann, J. A. Jackson, I. J. Staniland, D. Wolf-Gladrow, and J. C. Xavier (2017), A Synergistic Approach for Evaluating Climate Model Output for Ecological Applications, Frontiers in Marine Science, 4, doi:10.3389/fmars.2017.00308. Chou, W.-C., P. Y. Tishchenko, K.-Y. Chuang, G.-C. Gong, E. M. Shkirnikova, and P. P. Tishchenko (2017), The contrasting behaviors of CO2 systems in river-dominated and ocean-dominated continental shelves: A case study in the East China Sea and the Peter the Great Bay of the Japan/East Sea in summer 2014, Marine Chemistry, 195: 50-60, doi:10.1016/j.marchem.2017.04.005. de Baar, H. J. W., S. M. A. C. van Heuven, W. Abouchami, Z. Xue, S. J. G. Galer, M. Rehkämper, R. Middag, and J. van Ooijen (2017), Interactions of dissolved CO2 with cadmium isotopes in the Southern Ocean, Marine Chemistry, 195: 105-121, doi:10.1016/j.marchem.2017.06.010. de Lavergne, C., G. Madec, F. Roquet, R. M. Holmes, and T. J. McDougall (2017), Abyssal overturning shaped by seafloor distribution, Nature, 551, 181-186, doi: 10.1038/nature24472. DeVries, T., M. Holzer, and F. Primeau (2017), Recent increase in oceanic carbon uptake driven by weaker upper-ocean overturning, Nature, 542: 215-218, doi:10.1038/nature21068. Eide, M., A. Olsen, U. S. Ninnemann, and T. Eldevik (2017), A global estimate of the full oceanic C-13 Suess effect since the preindustrial, Global Biogeochemical Cycles, 31: 492-514, doi:10.1002/2016GB005472. Evans, G. R., E. L. McDonagh, B. A. King, H. L. Bryden, D. C. E. Bakker, P. J. Brown, U. Schuster, K. G. Speer, and S. M. A. C. van Heuven (2017), South Atlantic interbasin exchanges of mass, heat, salt and anthropogenic carbon, Progress in Oceanography, 151: 62-82, doi:10.1016/j.pocean.2016.11.005. Fassbender, A. J., C. L. Sabine, and H. I. Palevsky (2017), Nonuniform ocean acidification and attenuation of the ocean carbon sink, Geophysical Research Letters, 44: 8404—8413, doi:10.1002/2017GL074389. Fassbender, A. J., C. L. Sabine, M. F. Cronin, and A. J. Sutton (2017), Mixed-layer carbon cycling at the Kuroshio Extension Observatory, Global Biogeochemical Cycles, 31: 272-288, doi:10.1002/2016gb005547. Ganachaud, A., S. Cravatte, J. Sprintall, C. Germineaud, M. Alberty, C. Jeandel, G. Eldin, N. Metzl, S. Bonnet, M. Benavides, L.-E. Heimburger, J. Lefèvre, S. Michael, J. Resing, F. Quéroué, G. Sarthou, M. Rodier, H. Berthelot, F. Baurand, J. Grelet, T. Hasegawa, W. Kessler, M. Kilepak, F. Lacan, E. Privat, U. Send, P. Van Beek, M. Souhaut, and J. E. Sonke (2017), The Solomon Sea: its circulation, chemistry, geochemistry and biology explored during two oceanographic cruises, Elementa Science of the Anthropocene, 5: 1-27, doi:10.1525/elementa.221. Jeansson, E., A. Olsen, and S. Jutterström (2017), Arctic Intermediate Water in the Nordic Seas, 1991–2009, Deep Sea Research Part I: Oceanographic Research Papers, 128: 82-97, doi:10.1016/j.dsr.2017.08.013. Johnson, K. S., J. N. Plant, J. P. Dunne, L. D. Talley, and J. L. Sarmiento (2017), Annual nitrate drawdown observed by SOCCOM profiling floats and the relationship to annual net community production, Journal of Geophysical Research: Oceans, 122: 6668-6683, doi:10.1002/2017JC012839. Johnson, K. S., J. N. Plant, L. J. Coletti, H. W. Jannasch, C. M. Sakamoto, S. C. Riser, D. D. Swift, N. L. Williams, E. Boss, N. Haëntjens, L. D. Talley, and J. L. Sarmiento (2017), Biogeochemical sensor performance in the SOCCOM profiling float array, Journal of Geophysical Research: Oceans: 6416-6436, doi:10.1002/2017JC012838. Keul, N., K. T. C. A. Peijnenburg, N. Andersen, V. Kitidis, E. Goetze, and R. R. Schneider (2017), Pteropods are excellent recorders of surface temperature and carbonate ion concentration, Scientific Reports, 7: 12645, doi:10.1038/s41598-017-11708-w.
Kondrik, D. V., Pozdnyakov, and O. M. Johannessen (2017), Satellite evidence that E. huxleyi phytoplankton blooms weaken marine carbon sinks, Geophysical Research Letters, 45, 846-854, doi: 10.1002/2017GL076240. Ma, W. T., P. X. Wang, and J. Tian (2017), Modeling 400-500-kyr Pleistocene carbon isotope cyclicity through variations in the dissolved organic carbon pool, Global and Planetary Change, 152: 187-198, doi:10.1016/j.gloplacha.2017.04.001. Manno, C., N. Bednarsek, G. A. Tarling, V. L. Peck, S. Comeau, D. Adhikari, D. C. E. Bakker, E. Bauerfeind, A. J. Bergan, M. I. Berning, E. Buitenhuis, A. K. Burridge, M. Chierici, S. Floter, A. Fransson, J. Gardner, E. L. Howes, N. Keul, K. Kimoto, P. Kohnert, G. L. Lawson, S. Lischka, A. Maas, L. Mekkes, R. L. Oakes, C. Pebody, K. T. C. A. Peijnenburg, M. Seifert, J. Skinner, P. S. Thibodeau, D. Wall-Palmer, and P. Ziveri (2017), Shelled pteropods in peril: Assessing vulnerability in a high CO2 ocean, Earth-Science Reviews, 169: 132-145, doi:10.1016/j.earscirev.2017.04.005. Marconi, D., D. M. Sigman, K. L. Casciotti, E. C. Campbell, M. A. Weigand, S. E. Fawcett, A. N. Knapp, P. A. Rafter, B. B. Ward, and G. H Haug (2017), Tropical dominance of N2 fixation in the North Atlantic Ocean, Global Biogeochemical Cycles, 31, 1608-1623, doi: 10.1002/2016GB005613. McKinley, G. A., A. R. Fay, N. S. Lovenduski, and D. J. Pilcher (2017), Natural Variability and Anthropogenic Trends in the Ocean Carbon Sink, Annual Reviews of Marine Science, 9: 125-150, doi:10.1146/annurev-marine-010816-060529. Moreau, S., A. D. Penna, J. Llort, R. Patel, C. Langlais, P. W. Boyd, R. J. Matear, H. E. Phillips, T. W. Trull, B. Tilbrook, A. Lenton, and P. G. Strutton (2017), Eddy-induced carbon transport across the Antarctic Circumpolar Current, Global Biogeochemical Cycles, 31, doi:10.1002/2017GB005669. Olsen, A. (2017), Autonomous observing platform CO2 data shed new light on the Southern Ocean carbon cycle, Global Biogeochemical Cycles, 31: 1032-1035, doi:10.1002/2017gb005676. Orr, J. C., R. G. Najjar, O. Aumont, L. Bopp, J. L. Bullister, G. Danabasoglu, S. C. Doney, J. P. Dunne, J. C. Dutay, H. Graven, S. M. Griffies, J. G. John, F. Joos, I. Levin, K. Lindsay, R. J. Matear, G. A. McKinley, A. Mouchet, A. Oschlies, A. Romanou, R. Schlitzer, A. Tagliabue, T. Tanhua, and A. Yool (2017), Biogeochemical protocols and diagnostics for the CMIP6 Ocean Model Intercomparison Project (OMIP), Geoscientific Model Development, 10: 2169-2199, doi:10.5194/gmd-10-2169-2017. Pardo, P. C., B. Tilbrook, C. Langlais, T. W. Trull, and S. R. Rintoul (2017), Carbon uptake and biogeochemical change in the Southern Ocean, south of Tasmania, Biogeosciences, 14, 5217-5237, doi: 10.5194/bg-14-5217-2017. Quay, P., R. Sonnerup, D. Munro, and C. Sweeney (2017), Anthropogenic CO2 accumulation and uptake rates in the Pacific Ocean based on changes in the C-13/C-12 of dissolved inorganic carbon, Global Biogeochemical Cycles, 31: 59-80, doi:10.1002/2016gb005460. Rhein, M., R. Steinfeldt, D. Kieke, I. Stendardo, and I. Yashayaev (2017), Ventilation variability of Labrador Sea Water and its impact on oxygen and anthropogenic carbon: a review, Philosophical Transactions of the Royal Society A: Mathematical, Physical and Engineering Sciences, 375, doi:10.1098/rsta.2016.0321. Rosso, I., M. R. Mazloff, A. Verdy, and L. D. Talley (2017), Space and time variability of the Southern Ocean carbon budget, Journal of Geophysical Research: Oceans, 122, doi:10.1002/2016JC012646. Sauzède, R., H. C. Bittig, H. Claustre, O. Pasqueron de Fommervault, J.-P. Gattuso, L. Legendre, and K. S. Johnson (2017), Estimates of Water-Column Nutrient Concentrations and Carbonate System Parameters in the Global Ocean: A Novel Approach Based on Neural Networks, Frontiers in Marine Science, 4, doi:10.3389/fmars.2017.00128. Tanhua, T., M. Hoppema, E. M. Jones, T. Stoven, J. Hauck, M. G. Davila, M. Santana-Casiano, M. Alvarez, and V. H. Strass (2017), Temporal changes in ventilation and the carbonate system in the Atlantic sector of the Southern Ocean, Deep-Sea Res Pt II, 138: 26-38, doi:10.1016/j.dsr2.2016.10.004. Turk, D., M. Dowd, S. K. Lauvset, J. Koelling, F.-A. Pérez, and F. F. Pérez (2017), Can empirical algorithms successfully estimate aragonite saturation state in subpolar North Atlantic?, Frontiers in Marine Science, 4: 385, doi: 10.3389/fmars.2017.00385. Verdy, A., and M. R. Mazloff (2017), A data assimilating model for estimating Southern Ocean biogeochemistry, Journal of Geophysical Research: Oceans, 122, doi:10.1002/2016JC012650. Wallhead, P., R. G. J. Bellerby, A. Silyakova, D. Slagstad, and A. A. Polukhin (2017), Bottom water acidification and warming on the western Eurasian Arctic shelves: Dynamical downscaling projections, Journal of Geophysical Research, 122, 8126-8144, doi: 10.1002/2017JC013231. Zigah, P. K., A. P. McNichol, L. Xu, C. Johnson, C. Santinelli, D. M. Karl, and D. J. Repeta (2017), Allochthonous sources and dynamic cycling of ocean dissolved organic carbon revealed by carbon isotopes, Geophysical Research Letters, 44: 2407-2415, doi:10.1002/2016GL071348. Becker, M., N. Andersen, H. Erlenkeuser, M. P. Humphreys, T. Tanhua, and A. Kortzinger (2016), An internally consistent dataset of delta C-13-DIC in the North Atlantic Ocean-NAC13v1, Earth System Science Data, 8: 559-570, doi:10.5194/essd-8-559-2016. Frob, F., A. Olsen, K. Vage, G. W. K. Moore, I. Yashayaev, E. Jeansson, and B. Rajasakaren (2016), Irminger Sea deep convection injects oxygen and anthropogenic carbon to the ocean interior, Nature Communications, 7, doi:10.1038/ncomms13244. Fry, C. H., T. Tyrrell, and E. P. Achterberg (2016), Analysis of longitudinal variations in North Pacific alkalinity to improve predictive algorithms, Global Biogeochemical Cycles, 30: 1493-1508, doi:10.1002/2016GB005398. Garcia-Ibanez, M. I., P. Zunino, F. Frob, L. I. Carracedo, A. F. Rios, H. Mercier, A. Olsen, and F. F. Perez (2016), Ocean acidification in the subpolar North Atlantic: rates and mechanisms controlling pH changes, Biogeosciences, 13: 3701-3715, doi:10.5194/bg-13-3701-2016. 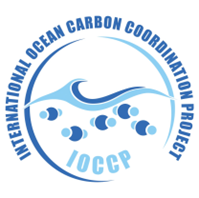 Iudicone, D., K. B. Rodgers, Y. Plancherel, O. Aumont, T. Ito, R. M. Key, G. Madec, and M. Ishii (2016), The formation of the ocean’s anthropogenic carbon reservoir, Scientific Reports, 6, doi:10.1038/srep35473. Yasunaka, S., A. Murata, E. Watanabe, M. Chierici, A. Fransson, S. van Heuven, M. Hoppema, M. Ishii, T. Johannessen, N. Kosugi, S. K. Lauvset, J. T. Mathis, S. Nishino, A. M. Omar, A. Olsen, D. Sasano, T. Takahashi, and R. Wanninkhof (2016), Mapping of the air-sea CO2 flux in the Arctic Ocean and its adjacent seas: Basin-wide distribution and seasonal to interannual variability, Polar Science, 10: 323-334, doi:10.1016/j.polar.2016.03.006. Willamson, P., C. Turley, and C. Ostle (2017), MCCIP Science Review 2017: Ocean acidification. 1-14, doi:10.14465/2017.arc10.001-oac. Humphreys, M. P., C. Dumousseaud, and E. Achterberg (2016), GA10 Carbonate Chemistry, doi:10.13140/RG.2.1.1394.3926. Ostle, C., P. Williamson, Y. Artioli, D. C. E. Bakker, S. Birchenough, C. E. Davis, S. Dye, M. Edwards, H. S. Findlay, N. Greenwood, S. Hartman, M. P. Humphreys, T. Jickells, M. Johnson, P. Landschuetzer, R. Parker, D. Pearce, J. Pinnegar, C. Robinson, U. Schuster, B. Silburn, R. Thomas, S. Wakelin, P. Walsham, and A. J. Watson (2016), Carbon dioxide and ocean acidification observations in UK waters. Synthesis report with a focus on 2010–2015, University of East Anglia, UK. doi: 10.13140/RG.2.1.4819.4164. Mann, Z. Á. and Stolz, V. (2018), Advances in Service-Oriented and Cloud Computing: Workshops of ESOCC 2017, Oslo, Norway, September 27-29, 2017, Revised Selected Papers. Communications in Computer and Information(824). Springer, 2018. ISBN: 3319790900, 9783319790909 (Accessed 02.11.2018). Mazloff, M. R., and A. Verdy (2015), State estimation for determining the properties and sensitivities of the Southern Ocean carbon cycle, US CLIVAR Variations, 13: 20-25. (Accessed 09.04.2018).